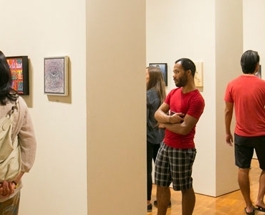 Our mission at the Honolulu Museum of Art’s is to connect people with great art. But by connect, we mean look—but do not touch. While it is tempting to reach out to the artworks in our galleries and courtyards, touching them can lessen their life expectancy. Our hands contain oils that react to their surfaces and leave marks that are irreversible. If we all touched the art that we love, there would be little left for future generations to connect with and enjoy. Please be responsible and thoughtful: don’t touch the art, and don’t climb up on pedestals or platforms. These exist to protect the objects. All bags are subject to security inspection. All backpacks, shopping bags, parcels, umbrellas, tripods, and any bags exceeding 16 inches in diameter must be checked in at the Visitor Information Centers. The museum is not responsible for items held in the Visitor Information Centers. All galleries and facilities are wheelchair accessible. Courtesy wheelchairs are available at the museum’s entrance gates on Ward Avenue and Victoria Street free of charge. The Honolulu Museum of Art strives to make its facilities accessible to all our patrons. If you have questions or would like to receive additional information about accessibility at the museum, contact Kim Hutchison at 808-532-1831 or info@honolulumuseum.org. Still photography without flash for personal use is permitted in most galleries. Galleries where photography is not allowed are marked. No tripods allowed. Videotaping is permitted in the courtyards and grounds of the museum only. No photographs or videotapes may be reproduced, distributed, or sold without written permission from the Museum. Sketching is permitted in the galleries (pencil only, no ink or paint) with sketchbooks no larger than 8 1/2 x 11 inches (21.6 x 27.9 cm). No easels or sketching while sitting on the floor is permitted. If galleries are crowded, guards may ask visitors to stop sketching or writing. Baby strollers are permitted at all times. 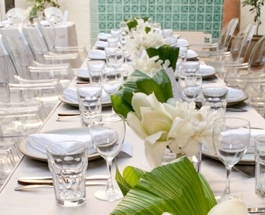 Outside food and drinks are not permitted in the museum, including in the courtyards and the Doris Duke Theatre. The Honolulu Museum of Art recognizes the diversity of the general public's abilities and needs, and we offer a variety of services to ensure accessibility to the museum for everyone. If you require assistance during your visit, a Visitor Information Associate, security officer, or museum volunteer is happy to help. All services are free with museum admission unless otherwise noted. All public areas of the museum are wheelchair accessible. The entrances on Victoria Street and Ward Avenue are wheelchair accessible, as is the entrance to the Doris Duke Theatre on Kinau Street. The Honolulu Museum of Art School's rear entrance is wheelchair accessible. Motorized wheelchairs are permitted. Disability parking: Three spaces are available at the Luce Gate on Victoria Street and two spaces are available at the Ward Gate on Ward Avenue. They are available on a first-come, first-served basis and cannot be reserved in advance. Wheelchairs are available free of charge on a first-come, first served basis and are located in the front entrance checkroom and at Luce and Ward gates. Wheelchair-accessible restrooms, each situated next to a water fountain, are located on the ground floor and in the Doris Duke Theatre and the Honolulu Museum of Art School. Elevators are located throughout the museum. The Doris Duke Theatre is equipped with the Easy Listener Hearing Assistance System. You can pick up a receiver at the ticket counter. Foreign language films include English captioning. Signage throughout the museum, such as gallery names, are in braille. Accessibility for persons with disabilities. Enter through the parking lot entrance near the ceramics kiln. Take the ramp down past the ceramics lab to access the elevator. Disability parking is available on a first come first served basis in the Art School parking lot. Arrangements can be made for drop-off if the disability parking stalls are occupied. 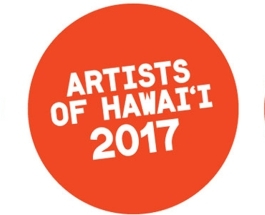 For more information email info@honolulumuseum.org, or call Visitor Services at (808) 535-8701. The Fellows are a distinct group of generous supporters who help sustain the museum’s vision. The museum's biennial showcase of island artists.